Dimensions 1 by 6 by 8.50 in. "That is where the story begins, in your body, and everything will end in the body as well. Facing his sixty-third winter, internationally acclaimed novelist Paul Auster sits down to write a history of his body and its sensationsÃ¢ÂÂboth pleasurable and painful. Thirty years after the publication of The Invention of Solitude, in which he wrote so movingly about fatherhood, Auster gives us a second unconventional memoir in which he writes about his mother's life and death. Winter Journal is a highly personal meditation on the body, time, and memory, by one of our most intellectually elegant writers. 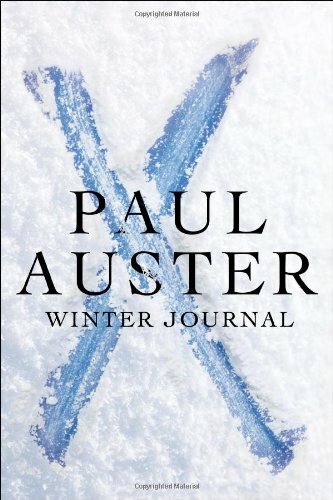 About: Facing his sixty-forth winter, internationally acclaimed novelist Paul Auster decides to write a journal as he sees himself aging in ways he never imagined. About: This memoir from the author of The Invention of Solitude describes his mother's life and death and the effects of time and aging on one's body and memory and reflects on the changes in sensory perception as the body ages. About: From the bestselling novelist and author of The Invention of Solitude, a moving and highly personal meditation on the body, time, and language itself"That is where the story begins, in your body, and everything will end in the body as well. About: "That is where the story begins, in your body and everything will end in the body as well.